Father’s Day is almost here! Tarrago has some gift ideas for all those who are looking for a nice and useful gift to celebrate their fathers next Monday. 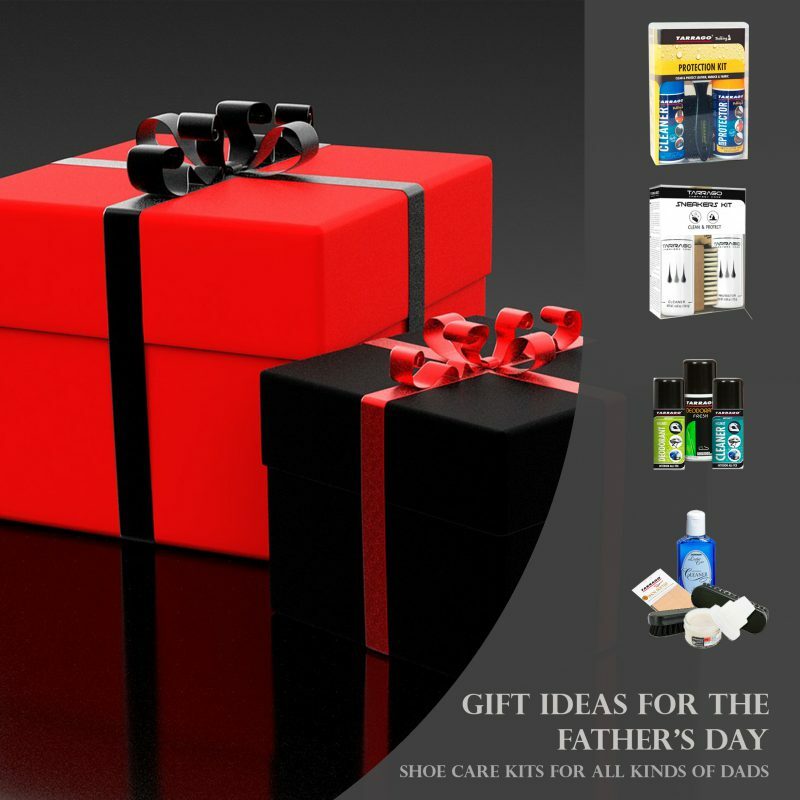 In this post you are going to find specific ideas for all kind of dads, kits to take care of shoes and garments according to the activities that your dad enjoys. Some dads are in love with outdoor activities and they are always looking forward to organize a trekking journey with their families. In this cases, some of the most beloved memories take place in the mountain when the whole family is enjoying the nature. If your dad is a such an enthusiast, Tarrago has a special Trekking Kit for him. It has two basic products to clean and waterproof garments and footwear of smooth and synthetic leather, suede, nubuck, and fabric. These products don’t change the original colours and don’t affect the breathability of the materials. 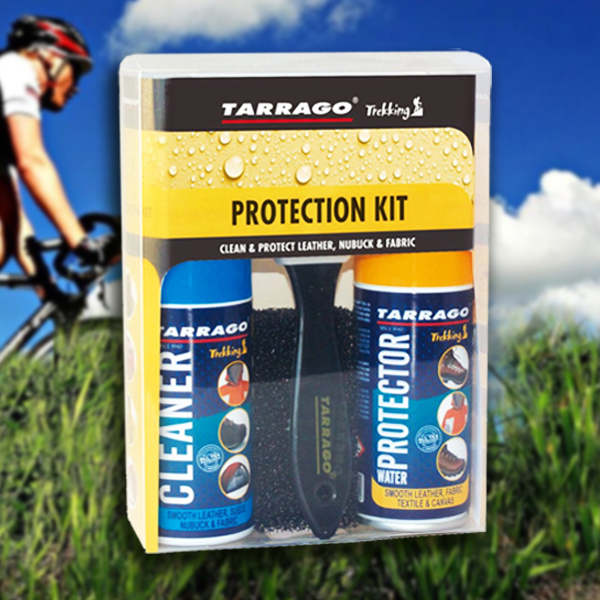 The Tarrago Trekking Cleaner is a dry cleaning foam spray, it provides a soft-touch finish and the Tarrago Trekking Water Protector has an efficient formula that provides protection against rain, wetness, dirt and oils. All those dads lovers of the mountain know well the value of such products. If the case is that your dad is a natural athlete and has always been motivating the family into the practice of sports, for sure he has a little (or not that little) sneakers collection. 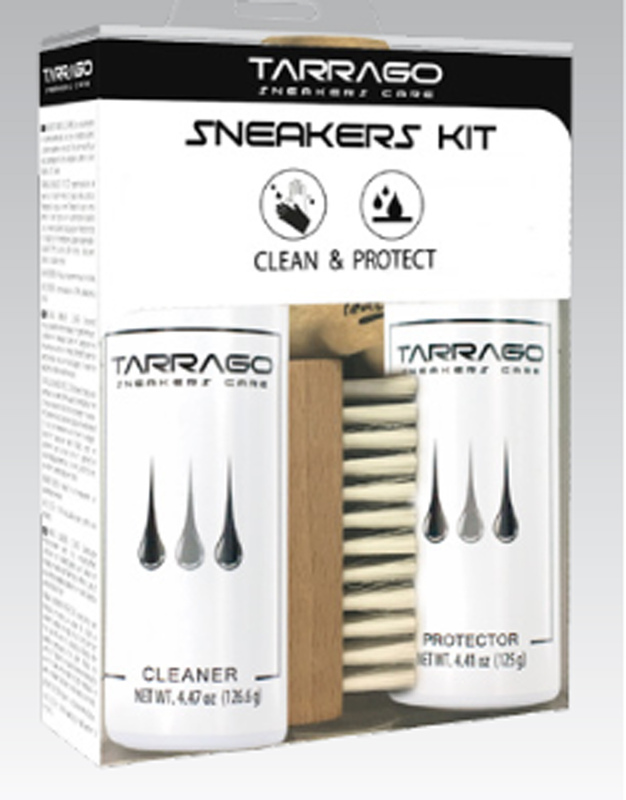 For those kind of dads, Tarrago has the Sneakers Care Kit, it contains the Tarrago Sneakers Cleaner, the Tarrago Sneakers Protector, a Sneakers Brush and a Shoe Duster. This kit will help to maintain and waterproof the sneakers. 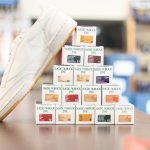 We are pretty sure that your old man is going to like having the ideal products to take care of his favourite tennis, running, or any sport shoes. Was your father enthu siastic with the idea of buying you a motorbike since you were just a child? If so, you have a motorcyclist dad. Helmets and leather jackets were for sure always visible at home. 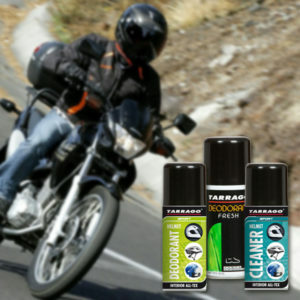 For dads that love motorcycling, Tarrago has the Helmet Cleaner and the . The Cleaner is a dry foam for helmet’s interior of all types, it eliminates sweat and all kind of dirt, leaving a pleasant scent. The Helmet Deodorant Spray is specially designed to deodorize all kind of helmets, it purifies and neutralizes any smell. And, after hours on the road, your dad will also find useful the Tarrago Deodorant Fresh Spray, it is specially designed to deodorize purifying and neutralizing any smell thanks to its fresh and pleasant scent. Casual style is an extended one, it fits for most of the daily situations. 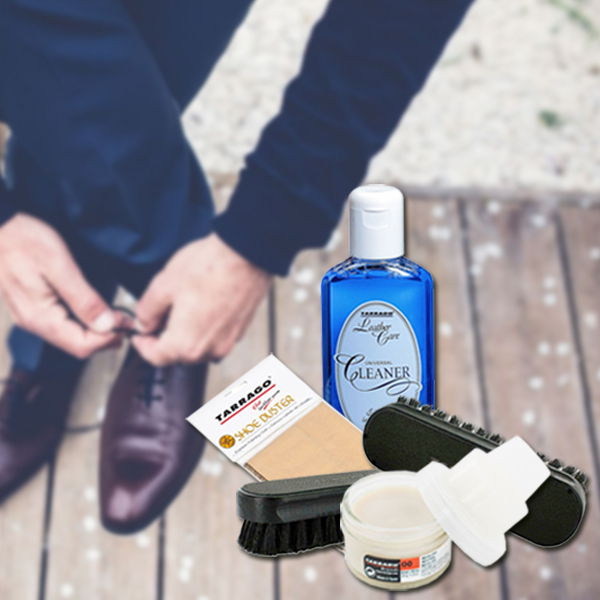 The following products make a great gift for every dad, so they can take care of their leather shoes and garments. The Tarrago Universal Cleaner is suitable for all colors, specially recommended for leather (all types of leather, suede, nubuck and fabric) goods and upholstery. And the Tarrago Self Shine Cream Kit is composed of a soft-wax based self-shine cream enriched with natural carnauba wax that nourishes and shines instantly without polishing, plus a sponge applicator, which allows an easy and practical use. Suitable for smooth leather, natural or synthetic. You can complement the kit with the Tarrago Shoe Duster and the Tarrago Brush. So, what do you think? Have you find the gift you were looking for? We hope so!